A Minnesota journalist is launching a new venture focused on telling the stories of the state's immigrant communities. 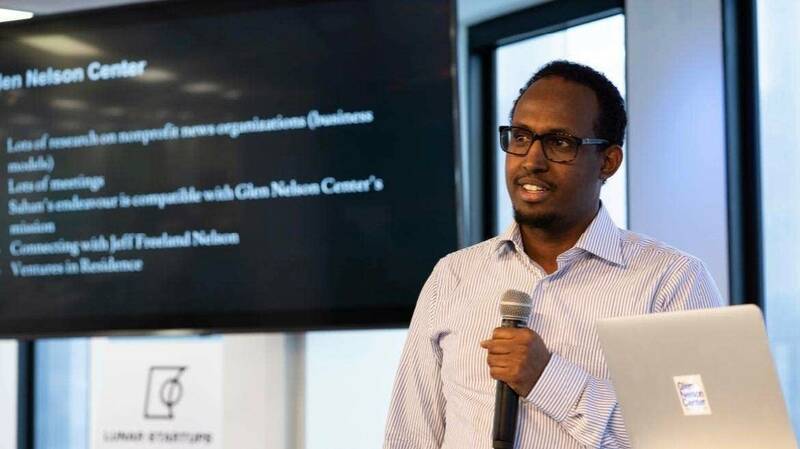 Mukhtar Ibrahim, a current MPR News employee and former Star Tribune reporter, is editor-in-chief of Sahan Journal. It's a news website he started in 2013, but his focus then was only part-time. With support from MPR News, Ibrahim is devoting his energy to what will be a run as a nonprofit multimedia news organization devoted to all immigrant communities in Minnesota. Through this news partnership, MPR News and the Sahan Journal will be working together to report and distribute the stories. "Sahan" is a Somali word meaning "pioneer." "The idea is to really pioneer a new way, a new model, of storytelling when it comes to immigrant communities," Ibrahim told NPR's Scott Simon in an interview that aired on "Weekend Edition Saturday." Ibrahim has spent most of his life in Minnesota, coming to the U.S. from Somalia in 2005. He has a journalism degree from the University of Minnesota and a graduate degree from Columbia University. You can hear the full interview by clicking the audio player above.